I am happy to highly recommend Benn and the team at Detail Pro Marine. Their knowledge and experience shines right through to the end result I now have on Oomoobah. She certainly shines brightly! The team at Detail Pro Marine takes pride in all they do. 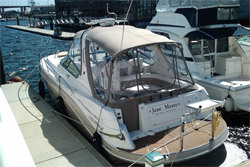 The regular maintenance, including annual servicing, cosmetic repairs if needed and careful attention to engine requirements has allowed me to enjoy my boat with an increased level of comfort knowing all is in immaculate order. I have no hesitation in recommending Benn and the team. 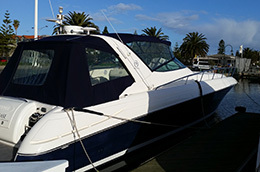 We engaged Detail Pro Marine to carry out a detail on our boat about 6-months ago after arriving back at Sandringham Yacht Club after 18-months up in Queensland. 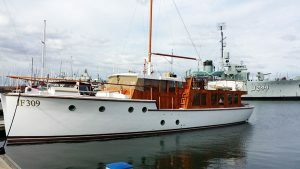 The job they did was fantastic and included a full and immaculate detail of the internal and external areas plus a full cut & polish of the topsides. In fact the job was so good we engaged their team to do a weekly maintenance program on ORRCA. We find Benn is the guy to go to whenever we have any issues on the boat and we have no hesitation in recommending him and his team to anyone. 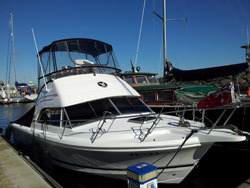 I highly recommend Detail Pro Marine to anyone who wants to maintain their boat in pristine condition. Benn is an extraordinarily knowledgeable, reliable and fastidious manager of two of my vessels (so far), maintaining them to the highest standards and presentation levels, and managing all annual servicing requirements, antifouling and improvements. Benn, Jo, Peta and the rest of the team are perfectionists when it comes to cleaning and detailing, and can always be relied upon to deliver what they say, when they say. I can’t recommend them highly enough! I have great pleasure in recommending your company. 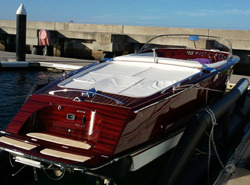 Over the past few years you have prepared “Amalfi” to as new condition ready for the summer season. 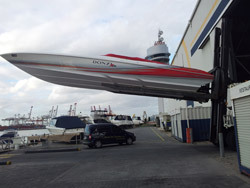 Your fortnightly service is thorough and comprehensive both inside and outside of the boat. Thank you – your ongoing coordination of maintenance work and your proactive approach has finally made boating a hassle free. 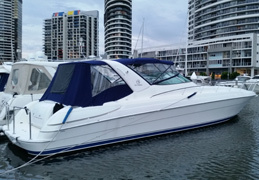 I engaged Detail Pro Marine to carry out a full detail on my boat ‘The Chase’ in September 2014 and was immediately impressed with their professionalism and customer service. Not only did they carry out an immaculate detailing, cut & polish on the boat, in a timely manner, their attention to detail was impeccable. I was pleasantly surprised to return to the vessel and find windscreen wiper blades replaced, new rope minders on my docking ropes and that towels and linen had been removed, laundered and returned. I’ve never had that level of detail before when contracting someone to look after cleaning my boat. The job was also completed on time and on budget. Their professional team made the whole process an easy and enjoyable experience and I look forward to engaging them in the future to manage my boats full servicing and detailing needs, ensuring my boat is always in top condition for safe and enjoyable boating. 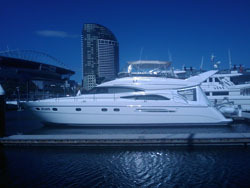 I would be happy to recommend DPM to anyone looking for a boat servicing partner. Benn & Jo – Just a quick note to say thank you very much for always keeping our boat in ‘ship shape’ and beautifully presented ready for our arrival with guests. We can simply board and enjoy a stress free day on the water knowing that everything’s in order. The attention to detail is greatly appreciated and nothing’s ever too much trouble. – Thanks. 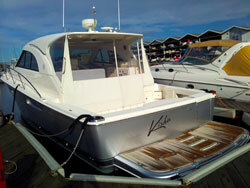 The detailing job which Detail Pro Marine gave our Chris Craft left the boat in better condition than when delivered. We will not hesitate to recommend Benn and his team when owners want a first class job. Detail Pro Marine have been looking after my Caribbean since purchase. Their quality workmanship and professionalism have been outstanding. It has been a real pleasure to be able to use my boat knowing that every time it is sparkling clean and absolutely seaworthy. And all done with a smile! I would highly recommend their services to anyone who wants their boat to be in perfect shape whenever they are ready to sail! I can highly recommend the team at Detail Pro Marine. The detail work on my boat is always meticulous and top quality. A quick note; Thank you for giving us faith in the industry again. After a multitude of issues with various services interstate, it is refreshing to see a team follow through on what they say and actually deliver. Not only do you deliver, you often exceed expectations. It is comforting to know you take care of the little things and the big, and we know we are always in good hands. Your professionalism is second to none. 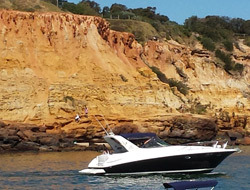 The regular cleaning and maintenance schedule ensures all our boating needs are met, often picking up on things we would otherwise only find issues with when out of the water. As briefed, our boat is always immaculate, you understand ones needs and communicate very effectively. 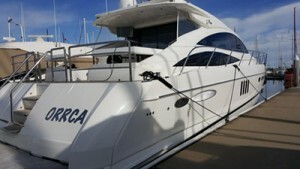 I have used the services of Detail Pro Marine to keep my boat looking good for the past two years. The environment as Yarra Edge Marine is not kind to the boat, a lot of grime floats in the air from the freeway and the nearby building operations. 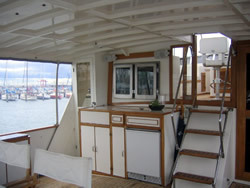 Usually Benn and Jo wash down the external surfaces, and, when required the interior of the boat is thoroughly cleaned. On completion the boat always sparkles. Benn and Jo take an interest in the boat and always do that little bit extra like removing the odd scuff marks and polishing the stainless steel on the outside of the boat. My timing requests have always been met consistent with their schedule and prevailing weather, provided sufficient notice is given. Benn and Jo work well together and provide a quality service at a price consistent with the work done. I happily endorse their services. 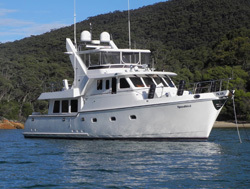 “I am a multiple boat owner with extreme pride in my vessels presentation and condition. Benn and Jo from Detail Pro Marine have maintained my 4400 SY Riviera for many years.They are extremely reliable, professional and diligent. 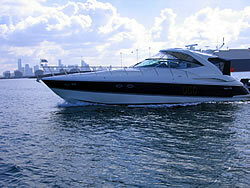 I engaged Detail Pro Marine services on a regular monthly maintenance program of cleaning and maintaining the boat. Benn has a great eye for detail and always raised those little issues that some times ruin a days boating unless addressed. 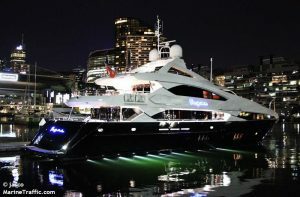 This meant we were able to maximise our days out on the water and not fiddling around in the marina. 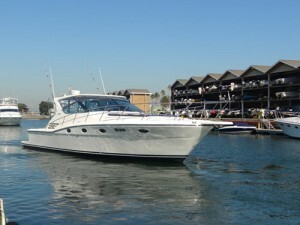 This also meant that the boat was reliable and always looking great. I consider myself very fortunate to have Benn looking after my boat. It is always in A1 condition and nothing is too much trouble. I would recommend Detail Pro Marine without hesitation. 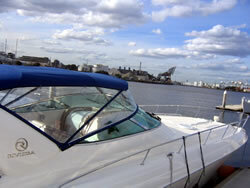 I am very pleased to be introduced to Detail Pro Marine services 3 years ago. It is nearly impossible to find a service provider that exceeds expectations on a regular basis, is punctual and delivers as promised. Their professional staff is detail oriented and keen to satisy their client by taking pride in their work and providing first class service. 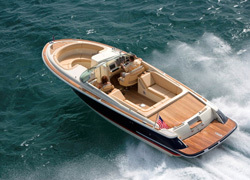 They are personally focused on delivering better results and value to boaters, and it shows in the quality of work. I have found their services to be quick to respond, flexible to scheduling and excellant on follow up. The best part was their price was very competitive. Thank you for ensuring us of your dedication to supply us with customer satisfaction. Dodo Australia Pty Ltd would like to express our thanks to Benn & staff at Detail Pro Marine for their ongoing dedication and hard work. Their professionalism and attention to detail is second to none and we’ve found Benn’s extensive knowledge and advice to be invaluable to us. Thank you for the fabulous service and attention to detail you have provided me ( once again ) over 2009. It’s such a pleasure to have the boat in “like new” condition every time I come down to use it. Over the last 4 years you guys have not missed a beat. Jo & Benn’s reliability and attention to detail are second to none. I could not recommend them more highly. We own and run a 52 ft motor yacht which we obviously need to be kept in fine trim, this in the past was left to our managing director, which meant valuable time being spent cleaning and maintaining and therefore not enjoying our boat. 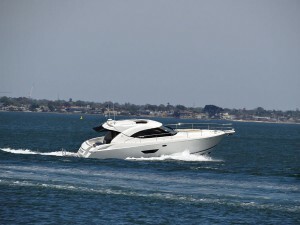 Since Detail Pro Marine have been employed time has been freed up for enjoyment of our boat, comments from our neighbouring boat owners range from ‘Capricorn Too is looking tremendous since you employed those detailers’, to ‘Gee those guys never stop’. 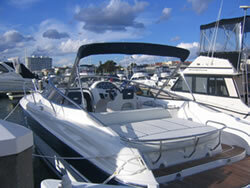 We are very satisfied with Detail Pro Marine. I just wanted to express my appreciation for the fantastic job both you and Jo did on my Bavaria 29DC. 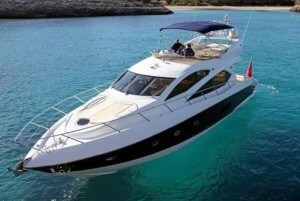 The boat has been thoroughly cleaned and detailed to the point of presenting as new. Not only is the finish perfect, the additional detail and silicone replacement was beyond expectation. This is just a short note to thank you for the fantastic service we are getting from you in keeping ‘Sulica’ shiny and welcoming. Our guests always comment on how incredibly well kept ‘Sulica’ is, all thanks to you of course! Since you have taken over the business there has been a substantial lift in the quatily of service, and we appreciate the fact that no job is too much trouble for you to organise, “even blocked toilets”. We have never been disappointed and especially after the last polish, ‘Sulica’ looks like brand new again, despite the normal soot we get at Pier 35. Thank you so much for the fantastic and friendly service, I wish you all the business success, you certainly deserve it.